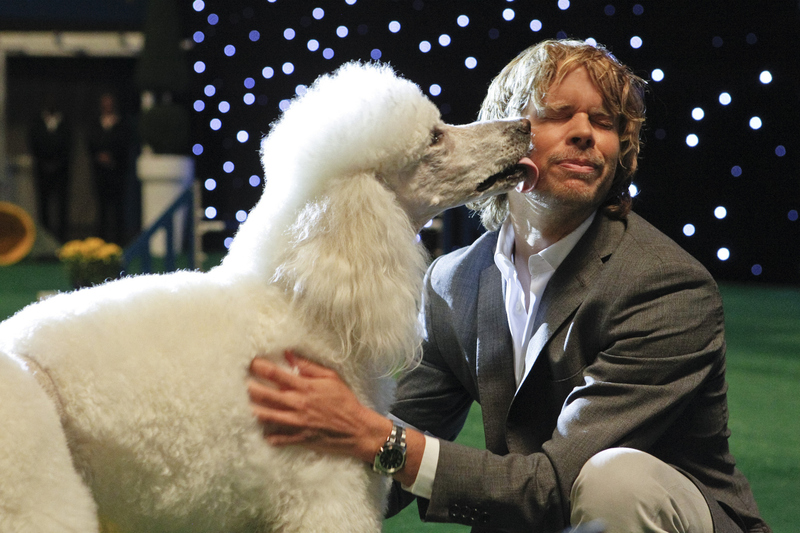 Pictured: Eric Christian Olsen (LAPD Liaison Marty Deeks) with “Chaucer” (Ramen, left). When a CIA agent who worked with Sam Hanna over eight years ago seeks his help and is soon found dead of an apparent suicide, Hanna and Callen suspect foul play and a bigger conspiracy. Meanwhile, Deeks finds his inner “dog whisperer” with Kensi as the two go undercover and enter a dog show with a prized poodle. Photo: Robert Voets/CBS ©2012 CBS Broadcasting, Inc. All Rights Reserved.